Cold call scripts for real estate are used for the traditional way to prospect for new listings. Cold-calling is the most often used method to get homes listed. It is the tried & true methods for getting new business. Cold call scripts are written to help you get more listings appointments. 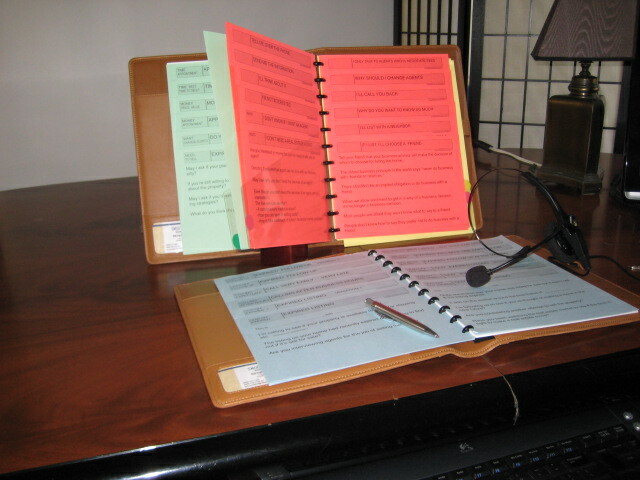 Cold calling scripts for real estate agents are used to prospect homeowners that are likely to list and sell their home. 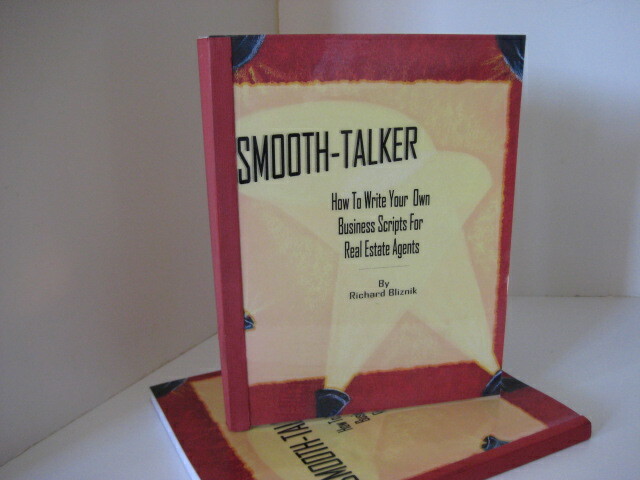 Smooth-talker real estate agents cold calling scripts are a tangible product that you can use immediately right. It's not something you must assemble or make yourself. Just stand-up the sales script in front of you and dial the phone. You can be ready with the right words that will get you appointments and get more sales. Real estate cold call scripts are used to be more effective when creating a professional image. It is for building relationships with homeowners especially in a geographical area. Real estate cold call scripts are a product you can use everyday. They are sturdy and will last you a lifetime. Just stand the real estate script for cold calling up in front of you and dial the phone. For a complete list of page headings & topics for real estate cold-calling scripts, go to the bottem of this webpage. Evaluating a sales script for cold calling in real estate means choosing the right tools. After spending and untold amount of money and time on training, some new agents will actually start to prospect by phone but it doesn't take long to realize that they can't remember all the dialogue they learned in training. Then the "fear" of not knowing what to say prevents them from calling on prospects so thay just don't call anymore. I take pride in the cold call scripts for real estate that I publish. I didn't steal other people's version of the scripts. 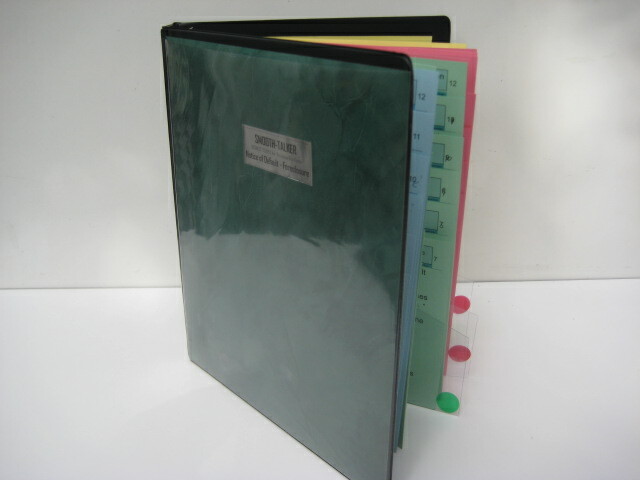 The scripts were written as a result from making tens of thousands of prospecting calls. After being a real estate broker, sales manager, and trainer for a 60 agent office for over 38 years, I learned that salespeople resisted (hated) make prospecting calls. The reason was not having a written script to remember what to say. 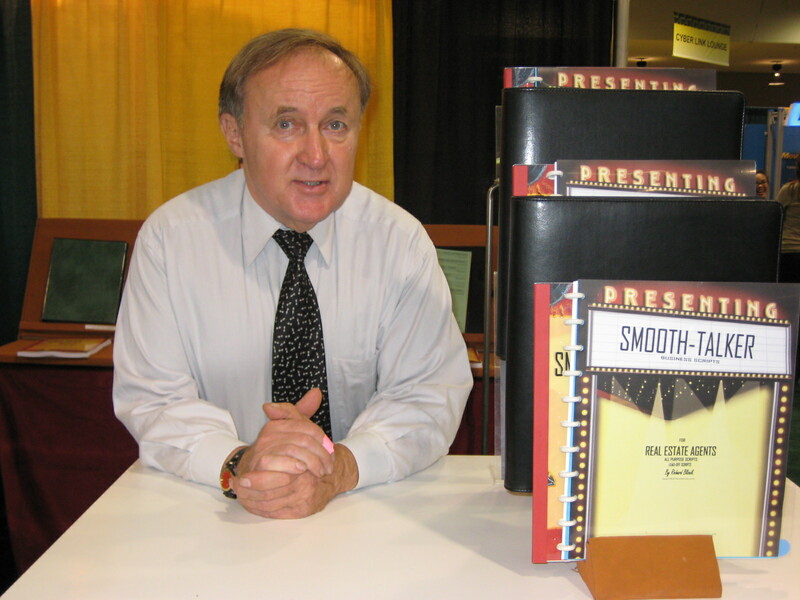 During my career on the front lines of real estate prospecting, I developed the cold calling scripts that I now offer. Once you've had a professional prospecting script, it's difficult to imagine a sales career without one. Real estate agents may excel at what they do but get tongue-tied when it comes to approaching a new prospect. 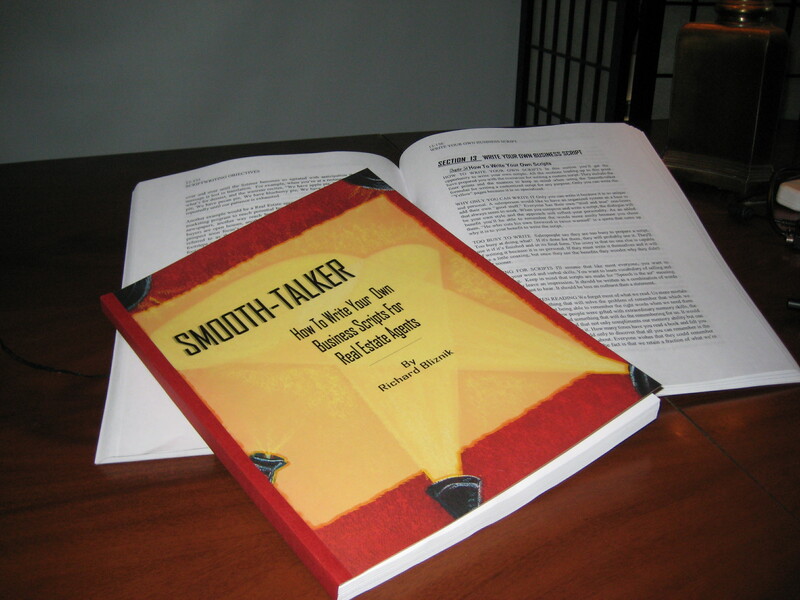 Smooth-talker's color-code is the reason that you will find it easy to find the right dialogue. You want to have objection responses because you have very little time during a prospecting call. Cold calling must be high relationship & and low pressure prospecting. Real estate scripts for the cold call seeks to make prospecting easy because the prospect usually wants to build trust before they put the home on the market. Cold calling is a high relationship type of connection. 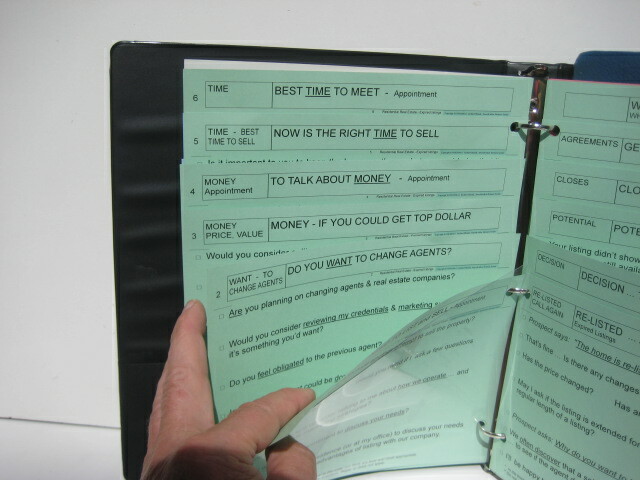 Real estate scripts for the cold call focuses on the service element and local expertise. The goal is to build a good relationship first. Cold calling scripts for real estate agents to build their business in a geographical area (called "farming") must establish an image of trust and ethical dealings. There is very little that is more intimidating then calling on potential customers that they don't know. 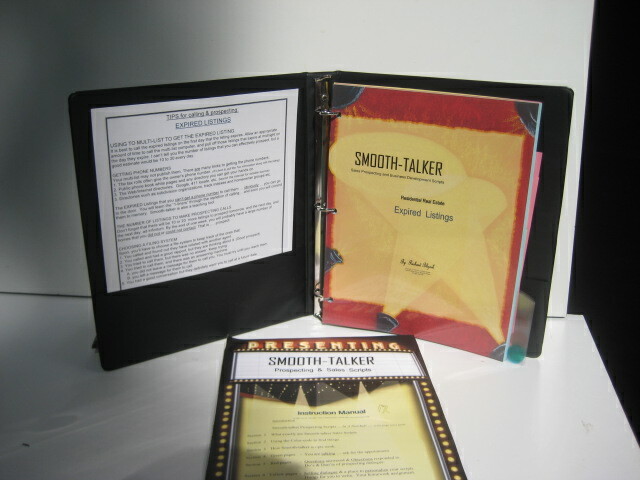 Scripts for realtors cold call concentrates building an image and a trustworthly relationship. 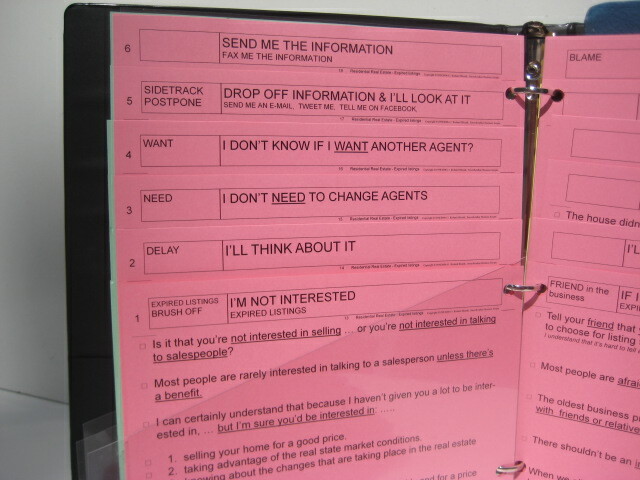 Scripts for the real estate cold call focuses on the time element. The time you have to call on the prospect varies with the type of farming sales script you use for lead generation. It is referred to as the shelf-life of a prospect. For instance, sales scripting for cold calling in real estate, the shelf life of a prospect is quite long because the turnover of a typical neighborhood is approximately 5-10% sometimes up to 20%. Countless surveys show that the number-one reason that cold call prospecting for real estate agent is disliked is the fear of rejection. Real estate agents that cold call consistently say that they like everything about their sales career but do not like cold call prospecting. Fear of rejection is stated to be at the core of why salespeople hate their jobs and dislike prospecting. Salespeople say they love to sell but hate cold call prospecting. Sales managers agree that the worst part of their job is convincing a real estate agent to use a cold call script. Real estate agents Cold calling prospecting by telephone is the most disliked activity but is also the most rewarding. They dislike real estate cold call prospecting activities because of the perceived disapproval they get when making a phone contact to a potential prospect. Human nature tells them they are being personally rejected during the course of making a cold-call to someone they don’t know. The fact is that they don't have realtors script for cold calling to use to answer objections that prospecting requires. It all starts with a prospect. The starting point of real estate prospecting is making the initial contact. Someone must make the call. If you don't, your competition will. The avoidance is so strong that salespeople would rather sacrifice their potential success then take the risk of getting their feelings bruised. Some real estate agents would rather abandon their career then deal with fear and rejection. To avoid hostile prospects is to not make any calls at all, and is not a good alternative. Real estate agents find it even more difficult because they’ve had more chances to experience the dreaded effects of making those sales calls. That old feeling never goes away. The most difficult part of real estate trainers job description is teaching a salesperson to make prospecting telephone cold calls. Who hasn't put off a prospecting call they didn't want to make? Avoiding cold calling is very expensive! The only way to avoid any type rejection is to avoid making phone prospecting cold call in the first place. They should understand that the only thing keeping them from succeeding is the "fear" they harbor deep down. If you have a steady source of real estate prospects, you need only to engage in the job at hand; that of exchanging services for money. 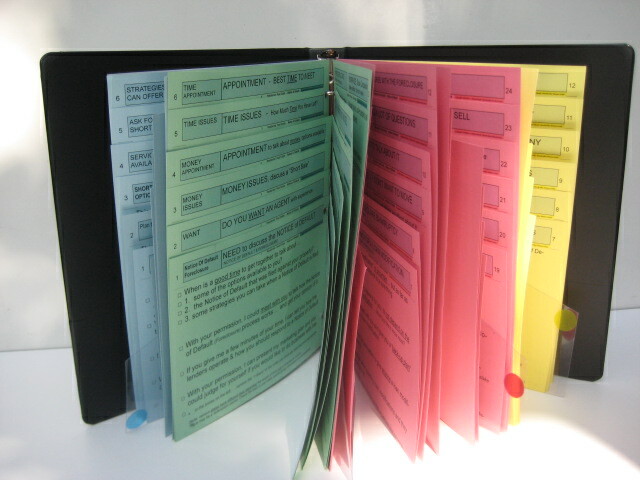 GREEN 24 pages for when you are doing the talking and the traditional questions that you should ask. Building my business by simply calling. Calling for business development. Building my client base. Follow-up call - Previously contacted. Call dodger. Gatekeeper - receptionist - call screener. Do you have a Need the services of an agent. Decision - To List & choose an agent. Time - When Will Prospect List . Closes - Ask for the order. Money appointnent to talk about finances. Get An Agreement To List With Me. If you’re so good then get me my price. I Have A Friend in the Business. Send Information - Tell me by phone. Bad Experience, Mad at agents. Others charge 1% commission, flat fee. Call Me Some Other Time. 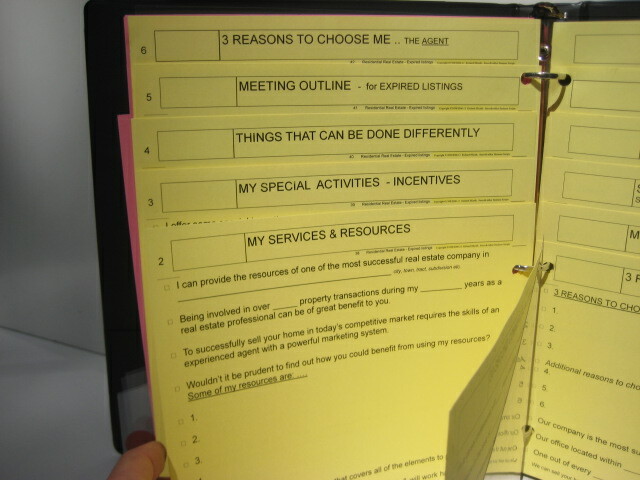 YELLOW 12 pages of traditional selling language and the reasons to do business with you. There are many places to fill-in-the-blanks for you to put facts about you & your services. Benefits of Company & Agent Services. Marketing Plan I Intend to Use. Success depends on “if" the salesperson has an reliable source of business. The key word is "if" you have a steady source of real estate sales leads. If you had a monopoly on your real estate business, you would only need to fill out order forms & count your money. In a real estate world without competition, that steady flow of customers would always be there. Real estate agents may be subjected to humiliation and derogatory criticism. It is perceived as a personal attack that is hurtful and difficult to cope with. Some real estate agents cannot master the skills required for making a telephone cold call, forcing them to rely on other less effective methods of getting new business. Others spend enormous amounts of money on advertising, direct mail, and passive marketing methods in hopes of reaching the same person by making a cold-call for free. Cold call scripts for real estate agents are the best way to build business. Realtors scripts for cold calling to get new clients are similar yet different due to their unique objection rebuttals & responses. Maybe it's time to purchase a realtors cold call script.